Agents found enough fermented mash to make 200 gallons of moonshine. 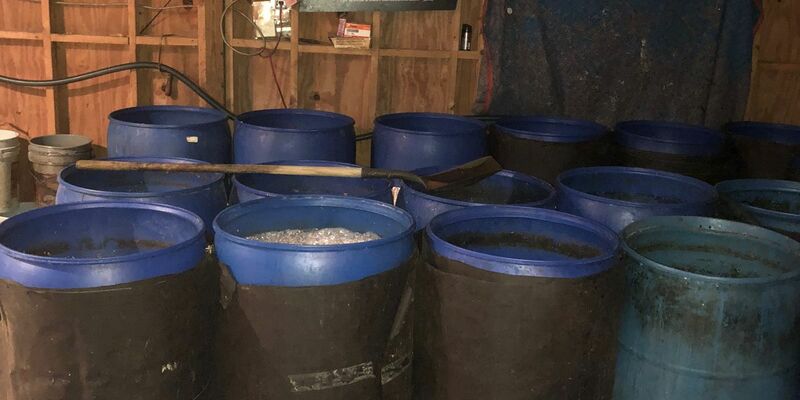 KILN, MS (WLOX) - Two people are facing charges after authorities found a moonshine operation in Hancock County. Willie “Jr.” Necaise and Tangela Davenport were arrested Oct. 19 for possession of an illegal distillery after law enforcement agents with the Mississippi Alcoholic Beverage Control performed a search warrant at 2465 Rocky Hill Dedeaux Road in the Kiln. According to the Mississippi Alcoholic Beverage officers, no moonshine was actually found during the search. However, agents did discover enough fermented mash to make 200 gallons of the finished product. Both Necaise and Davenport were at the still when agents arrived. ABC agents say aside from being an illegal operation, the whiskey still was extremely unhygienic. It’s a problem agents often see when making moonshine busts. “The biggest problem with these operations is the unsanitary work environment,” said ABC agent Fred Herndon. " The place was infested with cockroaches and black widow spiders. I am not sure if the pictures depict it or not, but numerous barrels had dead roaches in them along with other rodents, etc." This is the third moonshine bust in Hancock County in recent months. In September, one of the largest moonshine operations to be found in years in Mississippi was discovered in the Kiln. In June, a six-barrel still was found in the northern part of Hancock County. Necaise and Davenport were taken to Hancock County Jail. If you have any information regarding moonshine violations, please call 601-923-7430.